So let me state first off, I am a huge Conid fan. I bought my Kingsize Bulkfiller in January 2015 and use it every day. Bought and sold a Minimalistica, didn't like that I couldn't see how much ink was in the pen. I have a ton of nice pens, but keep coming back to the Conids as my favorites. When they announced the Antwerppen, I knew I had to have one. And I wanted the regular size, since I have a Kingsize already. This pen is only available through two retailers in Antwerp, Belgium, Kockx and Penworld. Conid will not sell you this pen directly, even if you have a relationship with them already. The Antwerppen is only available with a steel nib. If you want some other nib, you have to purchase it separately, but you get the steel anyway. My Kingsize has a flexible titanium Bock nib, which I love, and I wanted the same nib on the Antwerppen. Kockx quote was €808 which broke down to €615 for the pen, €125 for the extra nib and €69 for shipping to USA. I had to remind them that there was no VAT to USA, and then they dropped the price to €668, about US$775. Penworld.be has an online shopping cart, the pen is also priced at €615, but when added to the cart it immediately dropped to €508 without the VAT. And shipping was free. I decided not to get the nib from Europe. Conid gets €70 plus €35 for shipping, (about $120) so Kockx was clearly doubling the Conid price for the nib. They need to make a profit, I get that. Goulet sells the exact same nib for $60 and I needed ink anyway, so that was a no-brainer. I placed the order with Penworld on a Tuesday afternoon, they shipped it Wednesday and it arrived Friday! Packaged well, handwritten thank you note, and gift wrapped. Their service was spectacular, I can not recommend them more highly. Now to the pen: I adore the pen size, shape and color. While lengthwise, it's very close to the Kingsize, the width is significantly thinner. I am not a big guy, I don't have large hands, and while I love the Kingsize, the Conid Regular pen is a perfect size for me. 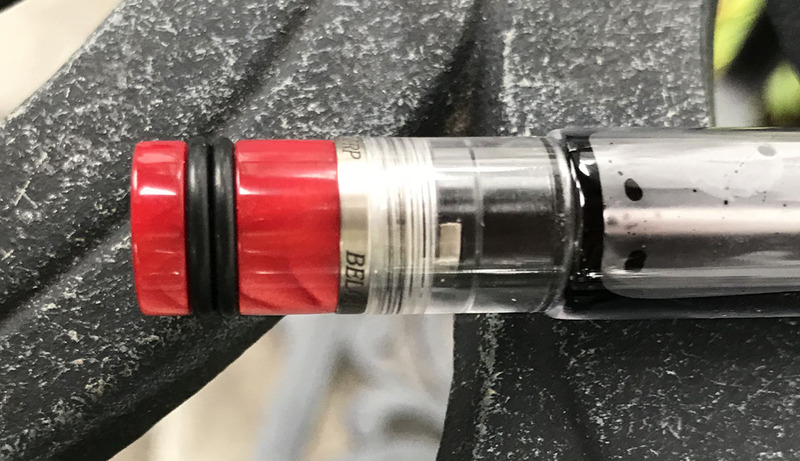 I love the demonstrator barrel, but like a solid cap so i don't stare at the inevitable ink splatters inside the cap. I wrote with the pen for about a week with the steel nib that came with it. Conid tunes nibs quite well, and this was a very nice smooth writing nib. But it was hard as, well... steel, and I relaly like the little bit of flex in the Bock #6 Ti nib. The new nib came from Goulet yesterdy, and was a piece of cake to install. Pull out the section, swap nibs, leaving the old feed and holder, and put it back together. Took about two minutes. Really really love the pen now. Yeah it was $600 plus nib, but that gets you a very rare pen that is gorgeous, and has the super cool and super practical Conid Bulkfiller filling system (google that). 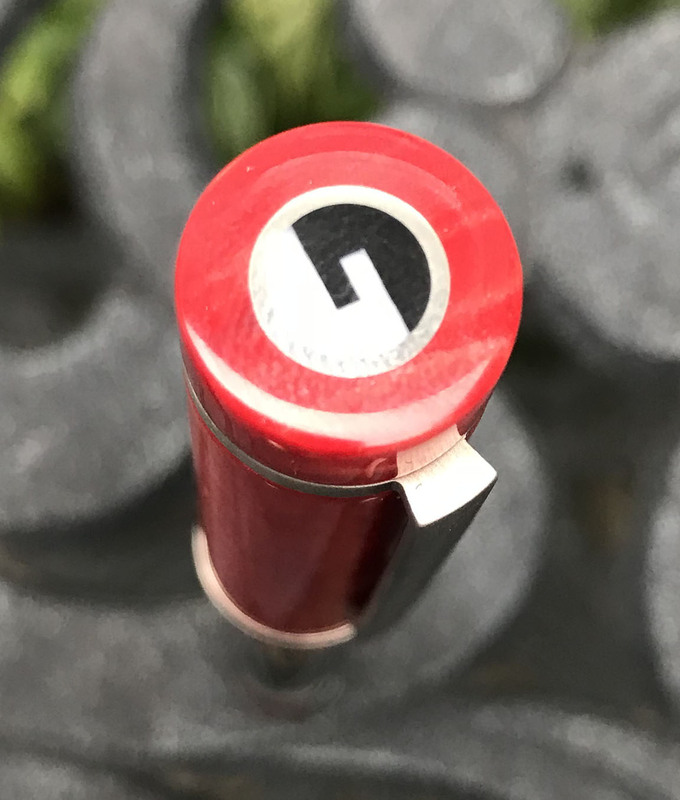 Look, if you want an awesome pen and you've got $600 to burn, this pen is, in my humble opinion, way better than any Pelikan, Montegrappa, Visconti or Mont Blanc, and I've owned them all. Enjoy the photos and post any questions or comments please. Great review for a beautiful pen. Conid produces engineers pens... i love them too. I own the demonstrator Minimalistica and a demonstrator CAISO King size and they are my favorite pens. 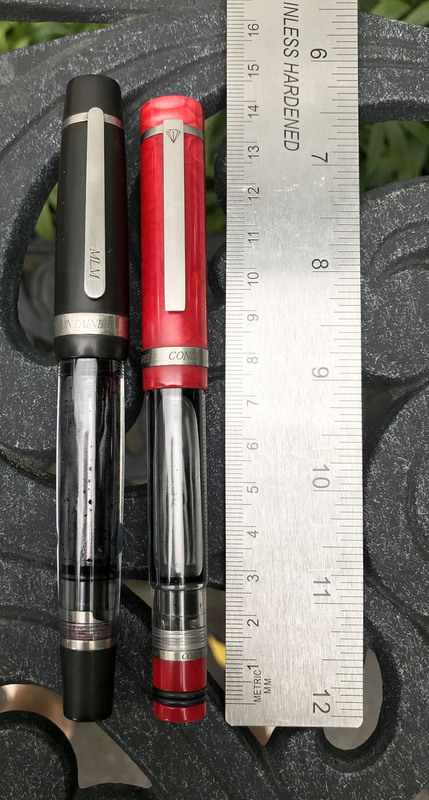 I have MB 149/146's, Pelikan M-1000/800/600's, Visconti Wallstreet LE, Bronze Age Homo Sapiens, all wonderful pens and writers, but my heart goes out to the Conid's. I just love the titanium nibs. So smooth with a bit of spring.